Does Your ASC Need to Improve the Way It Tracks Patient Milestones? From the moment a patient steps into your surgery center, it’s vital to keep track of where that patient is in the care process from registration to discharge, ensuring staff knows where to be when, and that patient throughput is efficient. A common challenge many ASCs face is the ability to track critical patient milestones in an automated way. Outdated dry erase boards and paper-based processes lead to inaccurate information, confusion, miscommunications, and delays. To solve this issue, ASCs must find a way to consistently and accurately track patient milestones from the minute they enter your facility until they leave. 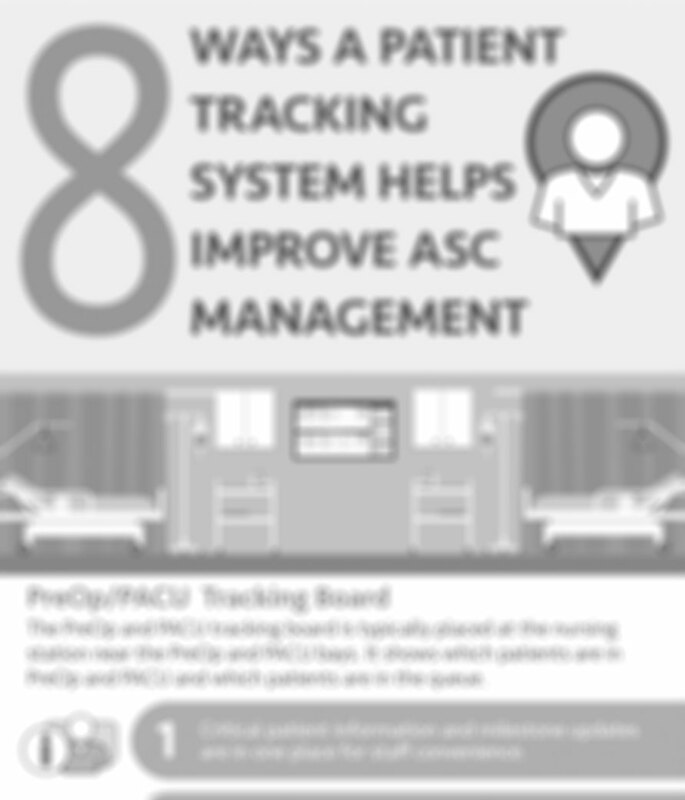 Learn more about how electronic patient tracking can improve each of these areas as well as how patient tracking technology can truly make a difference in the management of your ASC.